It’s my hope to be a grandfather someday. My own Grandpa turned 85 years old this week. I called him up on the phone to tell him happy birthday and to see how he has been doing. We talked about my job, his thoughts, and just life in general. To him, he’s most grateful for a simple yet important thing: his family. From his wife to his siblings, from his kids to his grandkids and great grandkids, he is proud to know that his legacy is one filled with amazing people. Good people. And I’m lucky enough to be a part of the love that he shares. Alice to Zouroku isn’t about birthdays and legacies, but it is about a relationship that spans a couple of generations. Sadly, whatever love it does have to share is lost along the way. 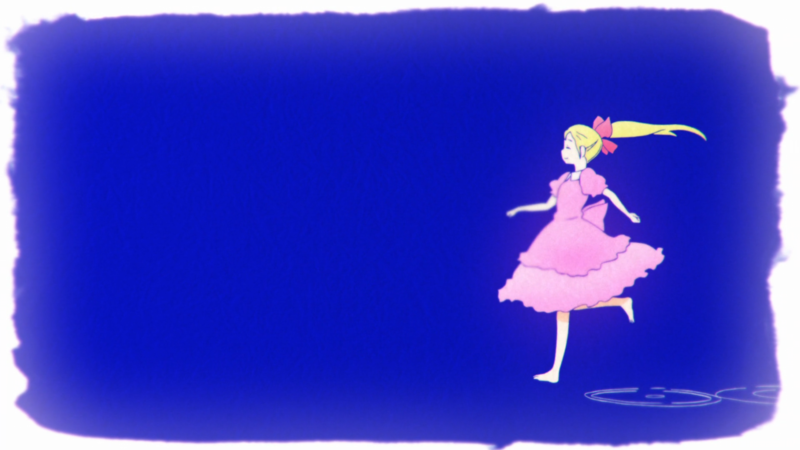 It takes watching all of Alice to Zouroku to realize that its narrative construction isn’t exactly linear. Not in the one-event-after-another sense but in the how-it-coalesces sense. Because, at first, it seems as though the show will follow a strict, singular plotline. Instead, it goes for separate arcs and episodic content, jumbling together both approaches to achieve its story. If this content were half-arc-half-episodic or fully one or the other, then the anime would have had some merit, following through on a foundation or keeping consistent in its plot. Instead, this jumbling comes off as the anime having little to no focus. Many of the people in the first half do not carry over: Minnie C., the director dude, that one kid who can draw items into existence. Much of what goes on in the second half doesn’t tie back too well: Hatori’s dilemma, the explanation of her powers, the newfound government watch program. And sandwiched in-between are the show’s episodic morsels. Not that the two slices of bread on either side of the season are completely inedible. Sanae and Sana’s interactions in the second episode make for a fun, lively sequence of events that push the plot along while building the cast. 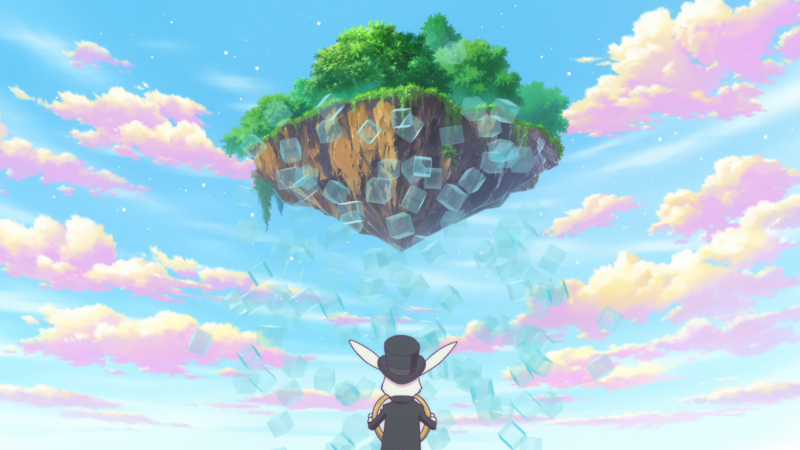 And the exploration of Wonderland in the final couple of episodes, after it had been alluded to here and there for quite some time, demonstrates a follow through on Alice to Zouroku’s part. Still, the breads’ moldy focus heavily curtails the show’s most important aspect: Sana and Zouroku’s relationship. With the initial outing worried mostly about a research facility and the evil people chasing Sana, and with the last outing putting a ridiculous amount of emphasis on a couple of last-minute characters, there just isn’t enough time given to what the anime literally titles itself around. 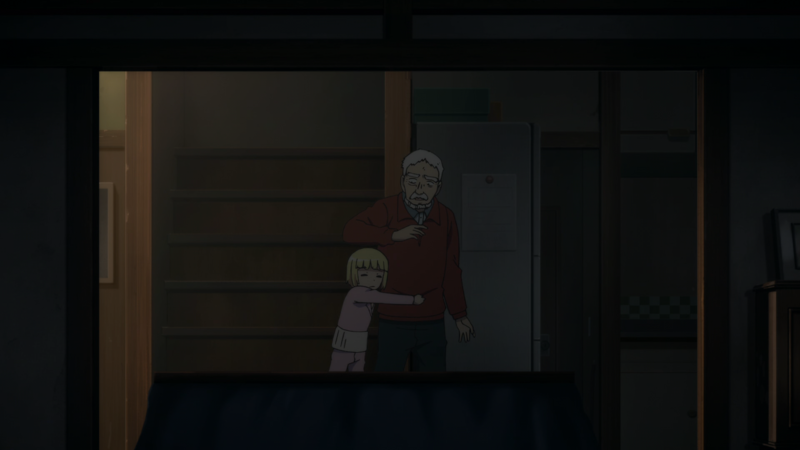 That’s why, when these moments between the old grandpa and the young granddaughter do pop up, they immediately capture the audience’s attention. It can be something as small as him pulling open a wrapper around some candy for her to eat or as big as her clinging onto and refusing to let go of him when he gets back home safe and sound. No matter the scale, their grounded moments together represent Alice to Zouroku at its absolute best. Indeed, all of episode six – with her tagging along during his job, their intermittent conversations, and her eventual adoption – make this aforementioned morsel the tastiest of the bunch. It can even be argued that the very, very last scene also deserves such praise. An older Sana fondly reminisces about Zouroku in a future timeline while clutching a set of beautiful flowers that no doubt remind her of him. The thematic implications alone here make this snippet infinitely more interesting than whatever the first and second halves of the show dished out. If for no other reason than it actually relates to the anime’s main goal. Besides the strange lack of focus, the anime contains even stranger decisions. Sana’s kidnapping isn’t so much shocking in an entertaining sense as it is downright uncomfortable to watch given how over-the-top the anime goes with it (when she soils herself, the potential drugging, literally shooting her in the leg with subsequent muffled screams and cries). 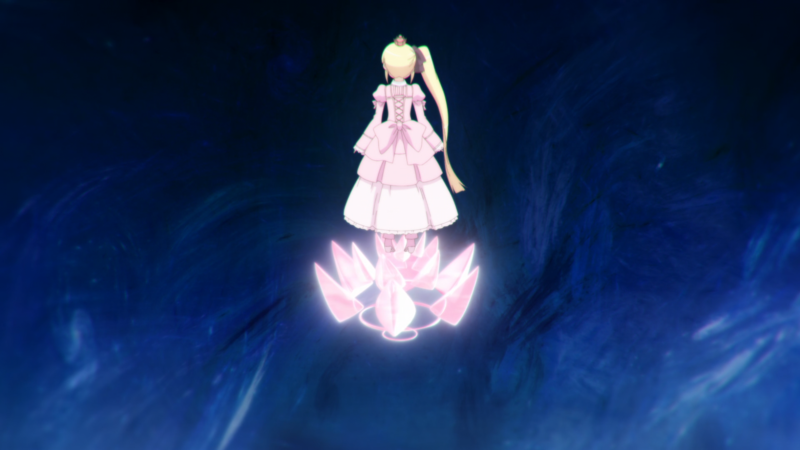 Moreover, one of the story’s themes on humanizing remains restricted to the Dreams of Alice users as opposed to explored and contrasted through regular people as well. And, speaking of the Dreams of Alice, the premise never truly takes hold, acting more as a caveat to the narrative rather than a vital piece worth extra attention. A lot of the comedy does work in the anime’s favor thanks mostly to Sana’s inquisitiveness. Plus, to reiterate, her moments with Zouroku demonstrate that this story has heart. But, without tangible storytelling focus and with those few speedbumps along the way, the show’s total execution rots more than it would prefer. 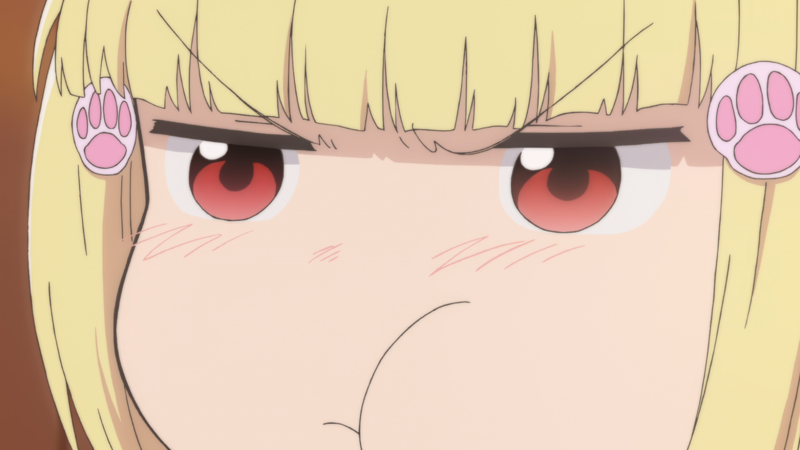 Alice to Zouroku’s first episode spells doom for the series when it trips up with error after error in its artistry. Asynchronous audiovisual production when a character sounds like he sits down and sighs but not really. Low-quality CG all over. Moving backgrounds when the characters themselves have stopped. Improper detail locations. While none of these specific issues exist for any longer than a few seconds at most, their frequency raises a red flag immediately for the rest of the show’s artistic integrity. Thankfully, the flag lowers quite a bit once moved beyond the first episode. Yes, the CG is still not ideal when it does appear, but it isn’t around as much or at least as prominently. And yea, the rare weird cut can rear its ugly head, like when Zouroku moves to attack Minnie C. for harming Sana. But, in general, the anime doesn’t wave that flag around with vigor anymore afterwards. Instead, Alice to Zouroku likes to draw one’s attention to the effort put into the designs of its characters. Their blocky nature adds some much needed charm to this story, and their looks capture their personalities well. For example, Zouroku’s furrowed gaze, white beard, and red sweater paint him as a stern yet likable grandpa. Sana switches from a princess dress and crown to a hoodie and short hair without ever losing her blonde strands and pink coloring, giving her a childish, cute appearance with ease. And Shizuku’s business attire contrasts with her magical maid outfit to complement work with “play” and to help accentuate her doubly helpful behavior. Sana’s Wonderland and the background artistry also deserve some praise. Her world away from the world contains all manner of depicted oddities: flying seals, giant turtles, crazy technology, piano bridges, shoe plants, ducky boats on a tea river. All it’s missing is a loony (read: mad) guy with a hat and some cards. The background art in Wonderland wows with its blue skies, pink clouds, and levitating isles. But the local city, Zouroku’s pretty floral shop, and the smaller locations visited (his house, the alley restaurant) also do their part in building the show’s appeal. By comparison, Alice to Zouroku’s actual animation does not reach as high as the designs and the background art, but it does not reach as low as the first episode’s wary mistakes either. Instead, it treads a middle ground. The characters’ imaginative summons, like Shizuku’s array of “weapons”, up movement for the duration of their stay, and the everyday actions of the characters don’t scream fluidity but get the job done regardless. That red flag never leaves the mind of the audience because of the stark nature of the errors committed. However, with the nice designs, pretty backgrounds, and passable animation, the show at least tries to hide that flag as best as it can. 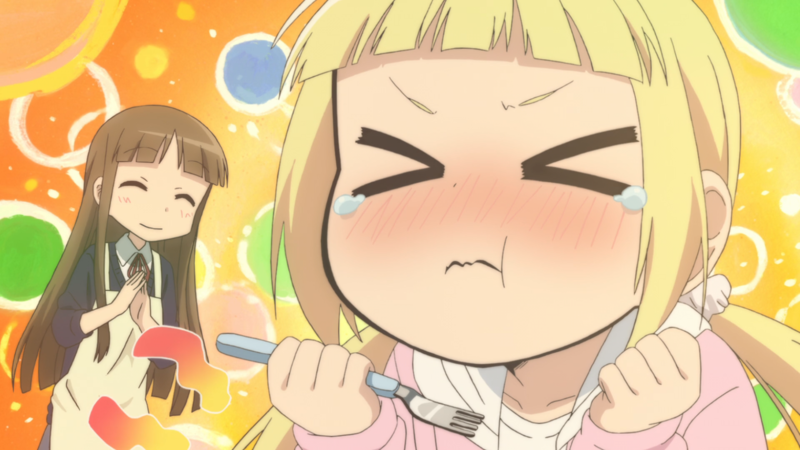 Of the two main characters in Alice to Zouroku, Sana evidently earns the most screen time. Without knowing anything about her, Sana seems like any other child. She pines after tasty food she cannot afford. She isn’t afraid to state her honest opinion despite the situation. She loves to have fun without worrying about the consequences. Yes, she has her own personal quirks, like commenting on the smells around her and singing made-up songs any chance she gets. But she’s no doubt like any other kid through and through. At least, until one discovers that there’s more to her than meets the eye. As a sentient Dream of Alice, Sana isn’t human. She’s a construct of the people and the emotions she experienced very early on. In other words, not only does she have to mature as a person but also she has to learn what being a person even is to begin with. This double layer of necessary growth for her character gives her experiences throughout the season a meaningful edge twice over and a much more purposeful direction overall. Her relationships with others, while few in number, also contribute to Sana’s growth. The twins act as a fun, recurring remnant from the first part of her life, letting her know that not everything from her past should be forgotten. Hatori, the main “antagonist” of the last arc of the season, is herself not the most compelling character (and honestly not individually relevant to the show), but she does (indirectly) force Sana to refrain from gut reactions and to think about sympathy towards others instead. And Sanae dotes on her as much as she can to give her the love and care she has never experienced before. These people are well and good for Sana’s growth, but the most important figure now in her life isn’t a friend or a sibling but (as anyone can guess at this point) a grandparent: Zouroku. 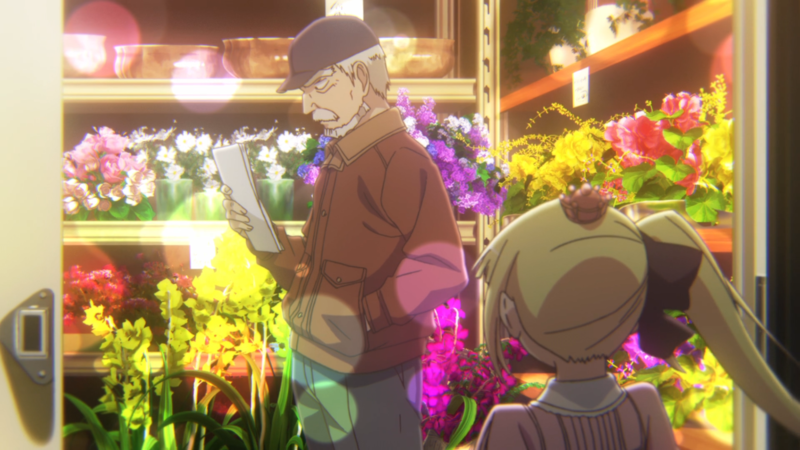 Known as the man who despises “crooked stuff,” Zouroku is an older fellow whose tough demeanor and worn baseball cap hide the fact that he’s the town’s most proficient florist. He doesn’t take extra handouts from others, and he looks after his employees. In short, his age reflects his steadfast maturity. With age also comes wisdom. Zouroku doesn’t care that Sana is technically not human; he simply sees her as a sincere young girl who wants to live a normal life like anybody else. So, in their various scenes together, Sana listens to Zouroku as he passes on his wisdom to her. Be it about the need to lean on others during tough times or being responsible with one’s own power, he is the best role model for her to achieve the growth in character that she requires. Zouroku sometimes employs a harsh cranium squeeze to reprimand Sana which goes against his normally calm self, yet those words of his guide her all the same. Unfortunately, he doesn’t have much else going for him. No strong backstory, no outside relationships. In a way, that’s because he’s “been through it all” already, so he (on a life level) does not have much left to gain. Indeed, not only does this whole crazy experience not change him much but also he comes off as oddly unfazed by it all. This direction for his character leaves little room for him in which to express himself, thereby diminishing his presence and his impact within the anime. Nevertheless, by the end of the season, Sana has clearly grown. She may become “frazzled” again in the future, but, with the people in her life looking out for her to support her from here on out, she will surely encounter more opportunities and more happiness, too. All to make her life the one she has always dreamed about. “Wonder Drive,” the opening track to this show, includes a lot of spacey effects and otherworldly noises to produce its sound. It aligns with the alien nature of the Dreams of Alice, and, for at least this reason, the OP has a leg to stand on. Otherwise, the track fills said space with nothing too out of the ordinary. A clapping segment. Some twang from its guitar and a pattering of drums in the background. Vocals that do not overbear the listener but do not engage them either. Altogether, this track isn’t too interesting, but it works in Alice to Zouroku. Its counterpart, however, is a different, better story. Titled “Chant,” the ending track stands on two legs instead, providing music both intriguing and fun to hear. The acoustic guitar, the xylophone, and the chimes blend together into a simplistic yet whimsical sound that entrances one’s ear. As the instrumentation glides along, the main vocalist’s whisper-like lyrical delivery and the supporting background vocals combine to give the song its happy, gentle vibe. Everything coalesces as an awesome track that’s worthy of playing outside of the anime itself. Likewise, the original soundtrack also earns props for many of its heartfelt melodies that accompany its scenes. Light piano keys will give way to violin strings that evoke the same swell of emotions. Other times, acoustic guitar plays alongside the piano for a decidedly happier tune. Then singular piano keys will intersperse a warped sound-effect to lightly lay on the tension of a given situation. Beyond these piano tracks, Alice to Zouroku also provides different musical pieces that follow different moods and segments. An intentionally stumbling song – with dainty xylophone notes, methodical wind instruments, and lazier pipe sounds – creates an airy atmosphere for the slice-of-life scenes. And the occasional jazz tune, with saxophone and light cymbal tapping, dots the show during certain montage moments. The OST may not stand as tall as the ED, but, melody or no, it stands tall nonetheless throughout the season. And not to be ignored, the voice acting involved, while not exactly special, has a couple of examples worthy of pointing out. Hitomi Ohwada as Sana stars in her first major main role, doing well in making Sana not only sound like a young girl but also dabbling into different emotions for her. Not to mention the overall cuteness of her cadence. Likewise, Akio Ootsuka as Zouroku also deserves a shoutout. His gruff tone and respectful anger give his lectures and yells their stern and compassionate edge. All in all, with just the OP not leaving too much of a mark on Alice to Zouroku, the music and sound contain some of the best parts to this show even when the other parts available were somewhat of a letdown. My feelings are conflicted on this one. I like it for two specific reasons, and I don’t like it for one specific reason. One of those likes goes to Sana. She is curious, silly, and happy-go-lucky. In other words, she’s a really fun kid character. Her impatience causing her to summon a giant pancake during breakfast to demonstrate the law of conversation of energy. Riding a rocket to chase after the twins in a high-speed, high-flying chase. How she talked about the proper way to drink milk. Quite regularly, her antics and reactions got me laughing. 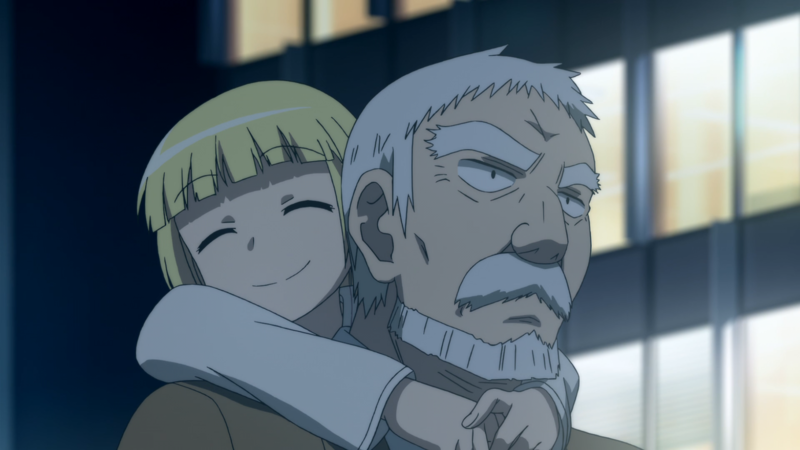 The other like goes to her relationship with Zouroku, for she cares a lot about this old man who she randomly ran into. She brings him with her into the nighttime sky for a spectacular view of the world below, and she gleefully goes out of her way to try and show him her new bobbed haircut. In turn, his intentions were always sincere, and her happiness while around him was always infectious. Besides my likes and dislikes, the rest of the show somewhat counterbalances itself. Shizuku and Ryuu from the protection agency were cool, but Hatori’s best friend Ayumu was similarly as annoying as her. The magic from the Dreams of Alice seemed interesting, but the powers present didn’t receive a ton of variety or usage. Sanae was a lot of fun, but she took a heavy backseat within the show beyond the second episode. Given that my bigger likes and my big dislike also counterbalance each other, my personal takeaway from this anime is neither super positive nor super negative. Overall, it’s just a whole lot of neutral. Alice to Zouroku unfortunately cannot make its dreams a reality. Misplaced focus on a narrative level, early artistic errors, not enough attention spent on particular characters, and annoying details prevent the show’s heartfelt bonds and nice musical repertoire from materializing. A legacy that falls far short of amazing.